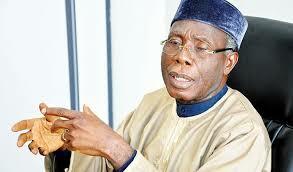 The Minister of Agriculture and Rural Development, Chief Audu Ogbeh, has said the recurrent clashes between herdsmen and farmers may not end soon. According to him, permanent solutions to the conflicts would require a lot of planning and funds, which is lacking at the moment. The Minister, who disclosed this in Abuja while addressing newsmen during the weekend, noted that government was not leaving any stone unturned in its commitment to engender an ecosystem where everybody would live peacefully, devoid of clashes and killings. “To solve this problem requires a great deal of planning and expenditure. The budget we have, can’t cope; the state governors must be involved. Other stakeholders who want to keep ranches, cattle must be involved. “The ministry would work on access to land and land tenure security which is expected to address farmers-pastoralists conflicts. “The reason for this new approach is to put this matter before all Nigerians. It’s our problem. “Quarrelling, hauling abuses at each other, raising suspicions, anger and all that will not help. We have a problem, we must solve it and solutions are not that difficult to find. “A country which has at least 45 million hectares of empty land has no business allowing farmers and cattle rearers to fight,” he stated. Similarly, a former Lagos State Police Commissioner, Abubakar Tsav, backed the Ogbeh on his claim that the clashes would not go away overnight. He argued that not even the anti-grazing law, already passed by both Benue and Taraba states, was enough to put an end to the incessant clashes. “The anti-grazing law made by Benue and Taraba states will have no effect because the laws were made in a hurry an in violation of the rights of the herdsmen. The state governments ought to have carved out areas as ranches and provide water, veterinary clinics, nets, schools and so on before making the law. Government should do something to end it.